Rest your elbows on top block as you hold a dumbbell in each hand. Palms are facing inwards to each other. This is your starting position. 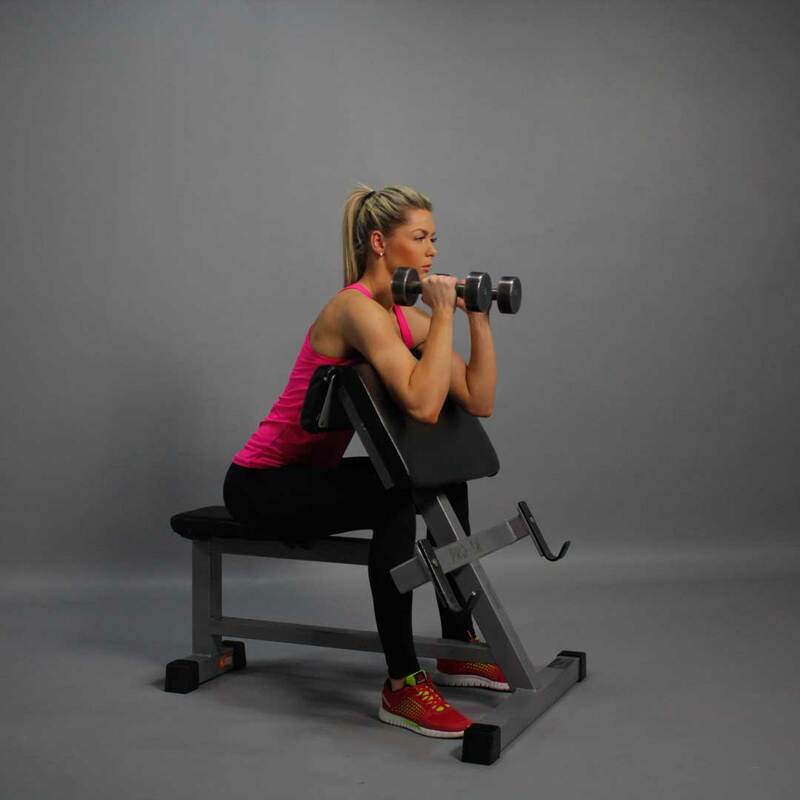 Exhaling, use the biceps to curl the weight up raising the dumbbells at shoulder level. Squeeze the biceps and pause in this position. Repeat for the required amount of repetitions.